Henry Spencer Toy | Launceston Then! Henry or Spencer as he was known, was born ion December 25th 1889 to Henry and Catherine Toy at Coinage Hall street, Helston. His father was a Bank manager and an alderman and one time mayor of Helston. Spencer attended Dunheved College before going on to to University College, London, where he graduated in science and obtained the Associateship of the Institute of Physics. He later took a two year post-graduate course at Bristol University, where he qualified for the research degree of M.A., And on a shortened course at Oxford University, where he obtained the Diploma in Education. In 1913 he started his teaching career. With the outbreak of the First World War he enlisted with the Army Ordnance Corps as a Private (Regimental No. 028318) but soon rose amongst the ranks finally achieving Second Lieutenant with the Royal Engineers serving in Egypt and Palestine where he acted as Computing Officer in the sound ranging sections of the Field Survey Battalion. 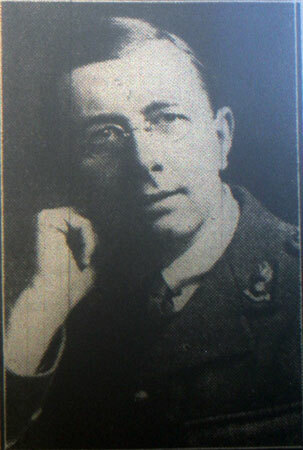 After the war he resumed his teaching career at Queens College, Taunton eventually becoming Senior Master. Whilst living in Taunton, Spencer took a prominent part in the educational and intellectual life of the town. He was the vice-president of the Literary and Philosophical Society and lecturer for both the Workers Educational Association and the Somerset Rural Community Council. 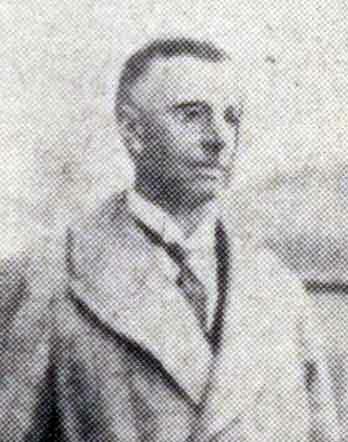 In 1932 he was appointed Headmaster of Launceston College taking over from Mr. B. Hardy. In 1912 his book ‘Ancient Borough of Helston’ was published and he followed this up in the 1920’s with two books of essays called ‘Aspects of Science,’ and ‘Versifeid Physic.’ In 1966 he wrote ‘A History of Education at Launceston’. He also wrote others like the ” Lawrence House ” Launceston, booklet produced in 1965, other similar publications were ” The Parish of St Mary Magdalene,” ” The Methodist Church at Launceston ,” and ” Launceston, the Gateway to Cornwall.” In addition to his scholastic attainments, Spencer had an aptitude for organising games and sports, being one of the founders of Launceston Rugby Club in 1948. He was also fond of music, being able to play both the piano and organ. He helped sort out the museum collection when it was based in the temporary shelter of the Passmore Edwards Library. He was also responsible for helping to transfer the museum to its present premises of Lawrence house in 1965. In later life he returned to his birth town of Helston, where he died in the spring of 1980 at the age of 91.